Planning to come to Salt Lake City, the Crossroads of the West - Our free Utah travel guides will assist and inform you before you arrive in Utah. Salt Lake is a city of unexpected surprises and brims with history, art, culture, entertainment and recreation - all in a beautiful location at the foot of Utah's Wasatch Mountains. It's and we would like to welcome you to the Salt Lake Tourist & Visitor Centers official online edition. 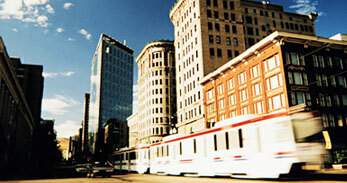 Our Salt Lake Travel Guide provides the latest, detailed information for the Salt Lake City area. Feel free to browse our vacation planning pages to learn more about beautiful Salt Lake City before you visit. Would you like to have a free Salt Lake City Visitor Guide mailed to you? Just ask us. Salt Lake combines the amenities of a large metro area with the opportunity to take advantage of year round outdoor recreation within minutes in every direction. An attractive, safe, and growing city, Salt Lake offers unequaled views, a thriving economy, exciting nightlife, remarkable history, the warm hospitality of a small western town, and *The Greatest Snow on Earth, TM*. Salt Lake is an incredible destination for patrons of the performing arts with: Ballet West, Utah Opera Company, Ririe-Woodbury Dance Company, Repertory Dance Theatre, Mormon Tabernacle Choir, The Utah Symphony, Numerous theater groups and over twenty art galleries are within minutes of downtown hotels. Salt Lake is located in northern Utah and sits in a large valley between two mountain ranges, the Wasatch on the east side and the Oquirrhs to the west. Getting to Salt Lake has never been easier. All of the major airlines fly into Salt Lake, so you can get here in no time. Half of the U. S. population is located within a two and a half hour flight from Salt Lake and two major interstate highways, I-15 and I-80 intersect in Salt Lake City. Since hosting the 2002 Olympic Games, Salt Lake has shined and continues to showcase our city's profile as a destination to visit. When winter hits, the snow falls on the slopes of our four world-class ski resorts, which are Alta, Brighton, Snowbird, and Solitude. Up in Park City, three world-class ski resorts and the Utah Olympic Park are less than a 40 minute drive from downtown Salt Lake. With the influx of relocatees, and owners of second homes, Park City has transformed itself into a vibrant year-round city. During spring, summer and fall, our canyons are filled with hikers, rock climbers, mountain bikers and outdoor enthusiasts. Salt Lake City is the Utah state capital and seat of Salt Lake County. Located in the north central part of the state, it is 24 km (15 miles) east of the Great Salt Lake, and is situated along the western slope of the Wasatch Mountain Range. The Salt Lake Valley was once part of ancient Lake Bonneville. Now, only a few rivers pass through our city. Salt Lake City is the worldwide headquarters of the Church of Jesus Christ of Latter-Day Saints. Salt Lake is Utah's largest city in a large region of the interior West and serves as the industrial, financial, and commercial center of Utah. Salt Lake City has a dry climate, with only 411 mm (16.2 in) of precipitation per year. However, the Wasatch Mountain Range is well watered, and the runoff is used to water the valley. The average July daytime-nighttime temperature range in the city is 33 to 18 C (92 to 64 F), and the average January range is 2 to -7 C (36 to 19 F). Salt Lake's Most Visited Attraction! 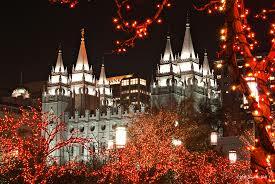 Temple Square is Salt Lake's Most Visited Attraction - A Highlight for Both Visitors and Local Residents All Year Long. The Salt Lake City International Airport is just minutes west of downtown city center. Thirteen blocks west of Temple Square lies the Utah State Fair Grounds, and the Utah state capitol building stands slightly to the north. 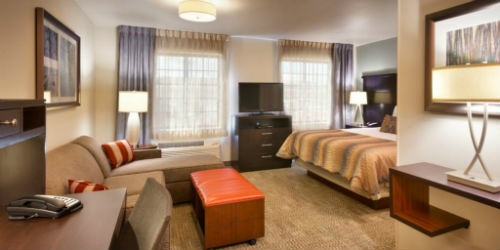 South of Temple Square is the city's central business district with many fabulous hotels. The main campus of the University of Utah is just fifteen blocks east of city center. The latest Salt Lake census figures can be found on this page... Demographic Info for Salt Lake City Possibly looking for a home to buy? Salt Lake's Multiple Listing Service is on the Utah Homes For Sale Page. Did you know that Harmons Kentucky Fried Chicken started in Salt Lake City? It was the model and first franchise of KFC. It's still there today at 3900 South and State Street. Do you know what Salt Lake's culinary claim to fame is? Ever hear of fry sauce? It's the sauce comprising mostly of mayo and ketchup that you dip french fries in. Up until a few years ago you could not get it outside of Utah, now all the fast food chains carry it. How about a Pastrami Burger....Started here in Utah. Three AAA Travel Offices are located throughout Salt Lake City and one of the many benefits of being a member of AAA is is that you can stop by and pick up guides, maps, and many other brochures to assist you during your visit to Salt Lake. 1400 South Foothill Drive, Ste. 154 at 1300 East. 185 East 12300 South, Ste. 100 at Draper Pkwy. Would you like a Free Salt Lake City Visitor Guide and Discount Coupons, or Ski Planners to save you money while you are here? Or how about a Salt Lake City Relocation Package for either Salt Lake City or Park City, they are available and they're free! 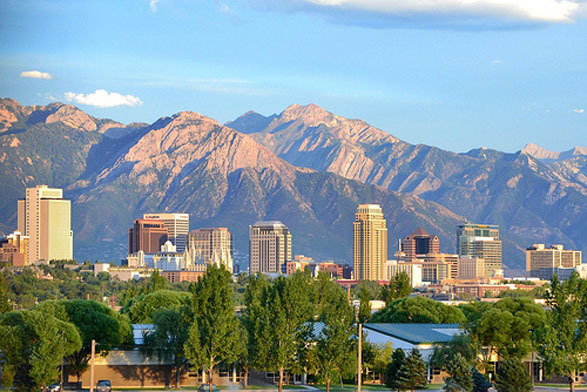 We're here to help you save money and enjoy your vacation or upcoming move to Salt Lake City Utah! Welcome, we are proud to bring you our official online directory! We hope the information we compiled will be useful to you, and that you find everything you are looking for. When you do Visit Salt Lake, bring us along on your mobile device. Our goal is to make your visit more enjoyable by providing updated information.